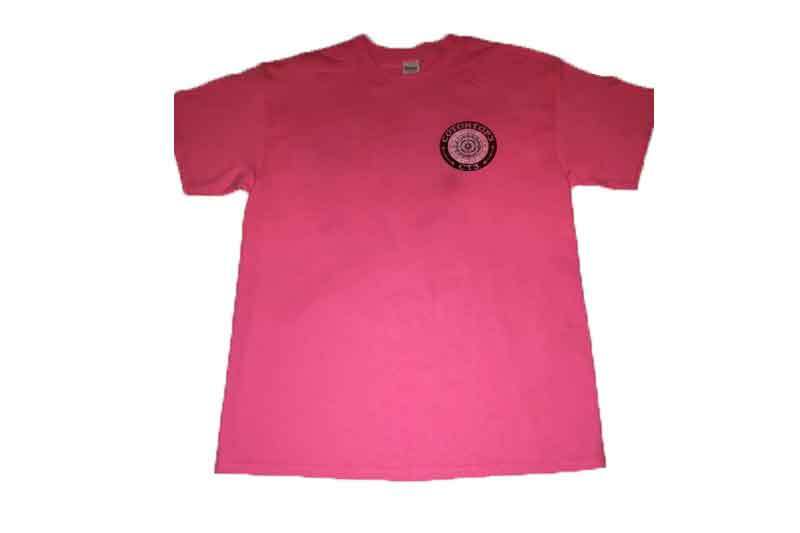 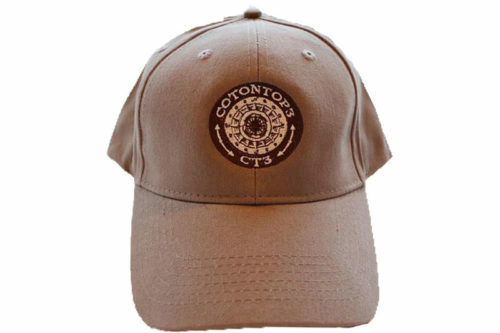 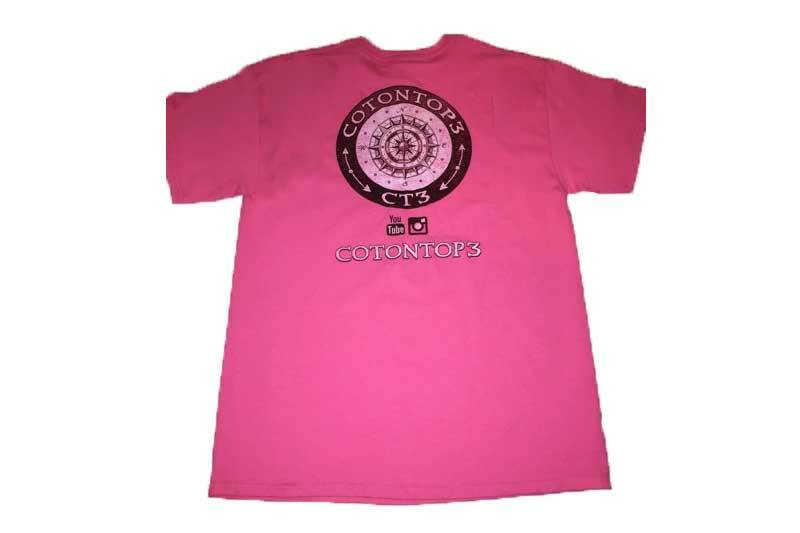 Pink with COTONTOP Logo on the front and back. 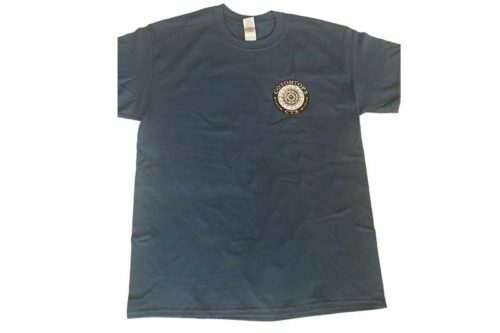 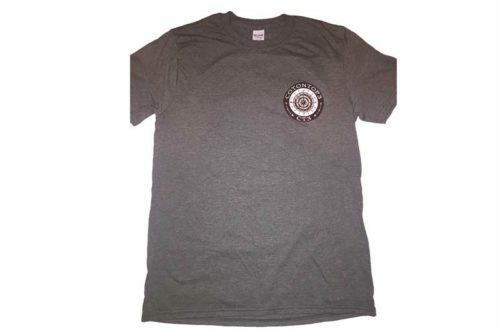 The 100% cotton t-shirt is quarter-turned with taped neck and shoulders and a seven-eighths inch collar. 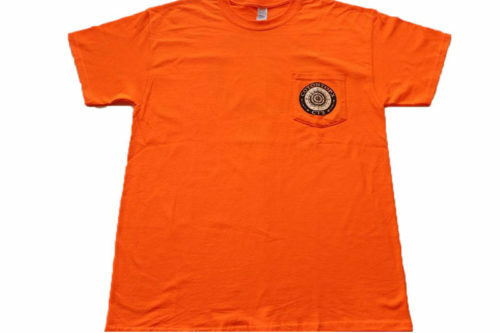 It also has double-needle stitched neckline, bottom hem and sleeves.